As soon as you enter this four bedroom detached property, you are greeted with an impressive centralised entrance hall. With rooms spread spaciously across two floors, The Aubourn has been designed with an striking level of care and attention. On the ground floor is a combination of convenience and beauty, with bi-fold doors that open up the family room into the garden, an external door to the utility room and a living room that boasts both French doors and a bay window. This house truly keeps you well connected with the outside world. The living room has a feature multi-fuel burner, which adds both style and warmth to those winter evenings. On the first floor are four double-sized bedrooms which benefit from fitted wardrobes. The master bedroom further benefits from an en-suite shower room. The semi-rural countryside village of Nettleham is well known for its picturesque village green, historic church and outstanding infant school. The Aubourn has been designed with an impressive level of care and attention. The Blyton is a semi-detached three bedroom home. 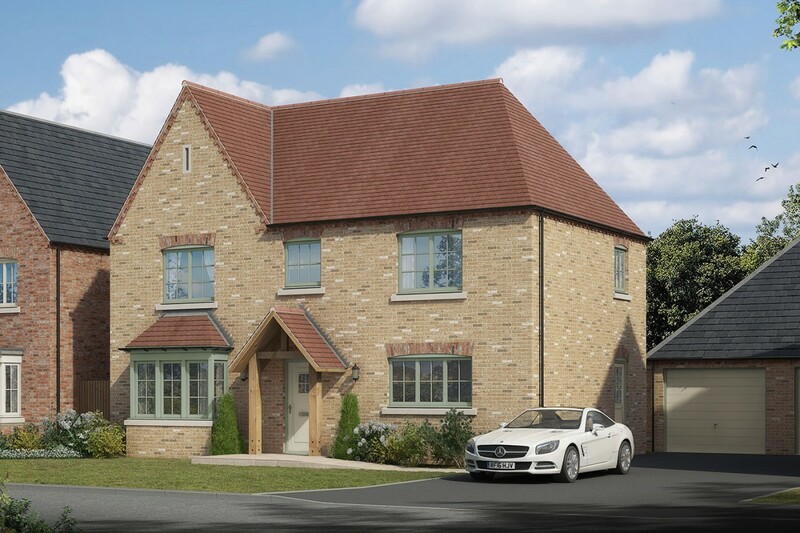 The Harmston is a traditional looking, detached four bedroom house. The Owmby is a very attractive four bedroom detached property. The Scampton is a charming three bedroom home. The Upton is a stylish three bedroom house. The Wickenby combines understated elegance with modern practicality.